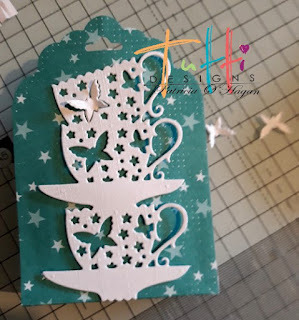 Tutti Designs: Anyone for tea? 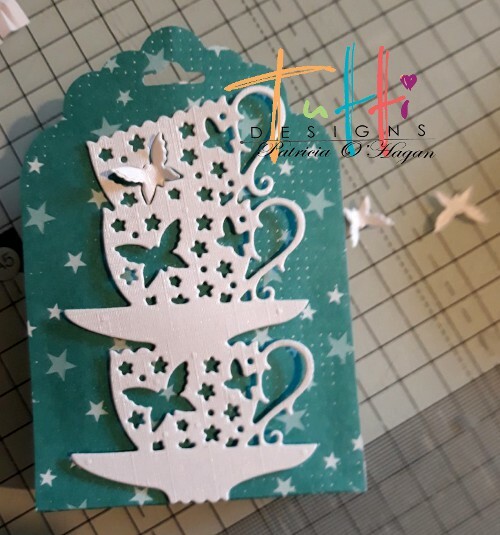 to make this cute little teabag treat holder! I scored at 4'' and 5'' and punched a tag top to each end and burnished the folds. I then cut myself two strips 2'' x 5'' using the other side of the paper. 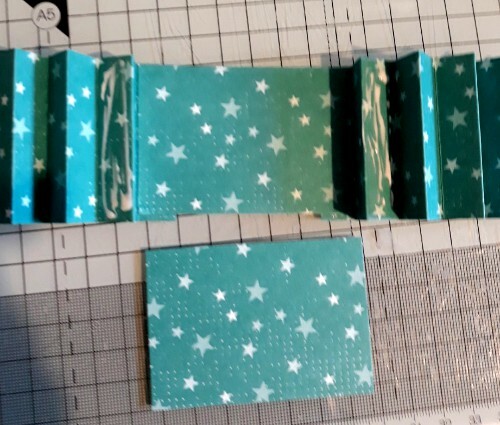 I scored each strip at 1/2'' then concertina folded them. and glued in place on each fold. 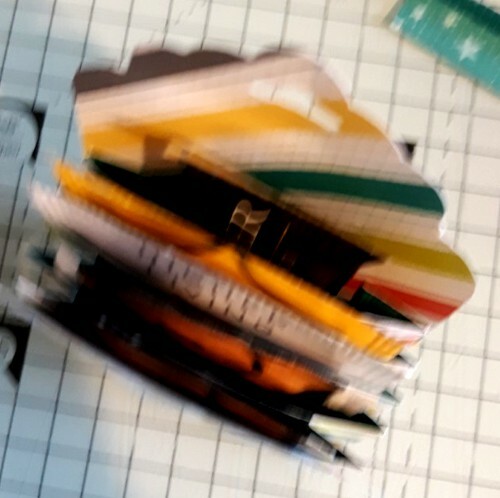 This formed the pockets for my teabags. 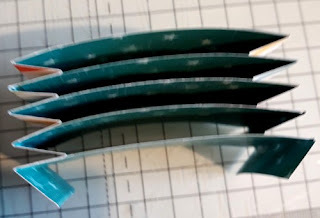 I glued the concertina piece into the centre of my folded tag pouch. 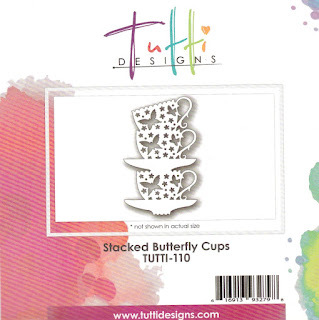 I then cut the Stacked Butterfly Cups using white card. using dimensionals and stuck the butterflies so they were raised. I then added my goodies, sorry for the blurred photo. I was holding mid air lol. It held 4 teabags and a small snack packet of biscuits! I secured the top with white ribbon. What an awesome project! I think the ladies at my country club show would like these ... will have to give it a try and I'll be contacting you for help! 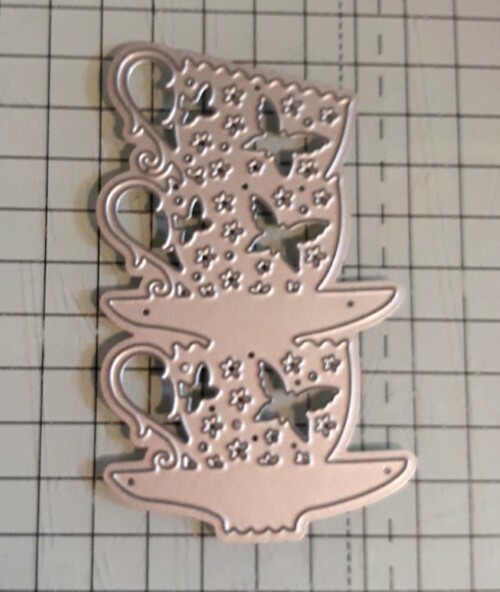 LOL This tea cup die works perfectly for the front! Great inspiration! Such a nice idea and very cool great job! 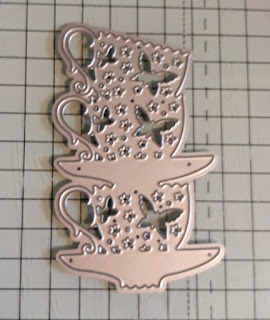 Love this tea bag gift, Pinky! 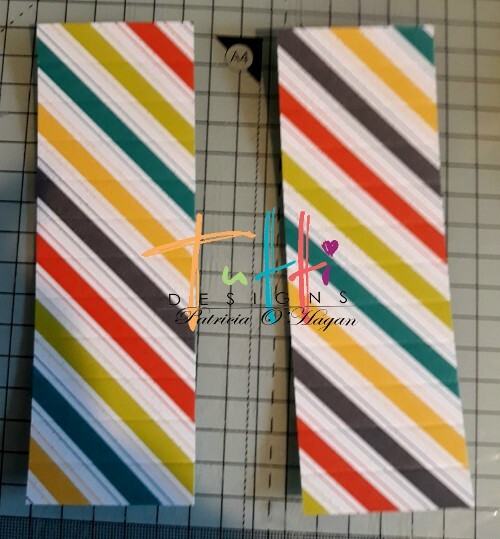 What a fun project!Great idea!! !